While it often goes unremarked here at ARGNet, Germany has a thriving community dedicated to alternate reality games. Leading the charge in the German-speaking world, vm-people created a landing page to welcome German-speaking players to the world of alternate reality games at Folge dem Kaninchen (Follow the Rabbit). Over the years, vm-people have successfully deployed a mumber of highly immersive alternate reality games including The Final Mill and Join the Pirates. More recently, the company has specialized in games exploring how to bring alternate reality games into the publishing space. Two years ago, the company sent two American players of Push11 to join the game’s German player base for a live event promoting Sebastian Fitzek’s thriller, Therapy. vm-people worked with Zoe Beck to create 66 Letters, a literary puzzle that extended past her novel, Das alte Kind, released last year. Now, the tradition continues with an alternate reality game set around Max Landorff’s new thriller, Der Regler. I received a package in the mail this weekend bearing vm-people’s “Folge-Dem-Kaninchen” stamp. Inside was a plastic bag labeled “4/15/2011” holding a microSD card. After loading the card into my phone, I was able to watch a video dated 4/10/2011 showing members of a gang gunning down the owner of a mysterious briefcase. At his blog, Alex Vladi translated the Japanese conversation into German and revealed the mailing’s connection with Wer Ist Der Regler. Players were initially mailed a poker chip inscribed with a bit.ly link for Poker’s Paradise, and a cloverleaf pendant. 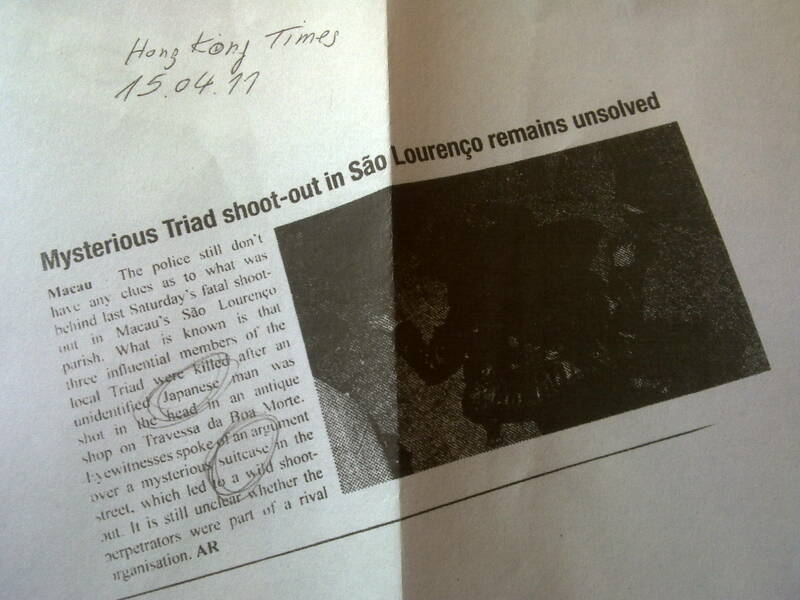 The wrapping paper for the package stated in English, “Play the player, not the cards.” Players later discovered a bloody game card leading to the Wer Ist Der Regler site as well as a news clipping that indicates the event shown in the video I received took place in an antique shop in Macau and is somehow linked. Interested in learning more? Check out the game’s wiki, or join the discussion at the ARG-Reporter forums. The game has already called upon players with knowledge of English, German, Japanese, and Russian, so the game might be worth checking out regardless of your personal linguistic fluency.